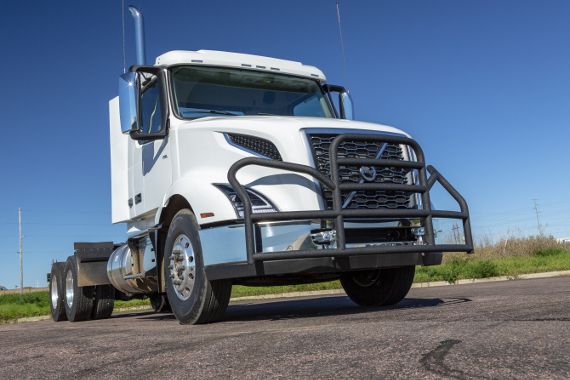 The ProTec Edge™ grille guard offers comprehensive front-end protection for the modern, heavy-duty truck. The high-strength, one-piece frame contours to the profile of today’s aerodynamic semi trucks, protecting the bumper, grille and headlights and adding a sleek, professional look. 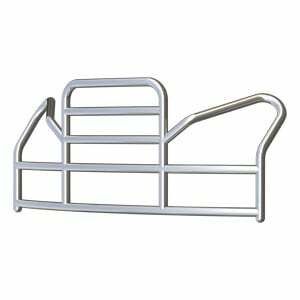 This modern truck grille guard features multiple welded crossbars for reliable grille protection, and it is constructed from heavy-duty 2-1/2” diameter tubing. 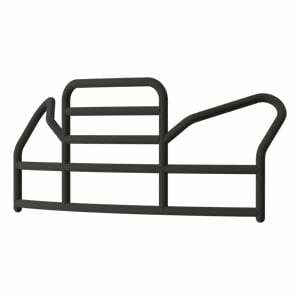 It installs with truck-specific brackets for no drilling or front-end modification required, and the brackets fold down to allow for easy under-the-hood access.